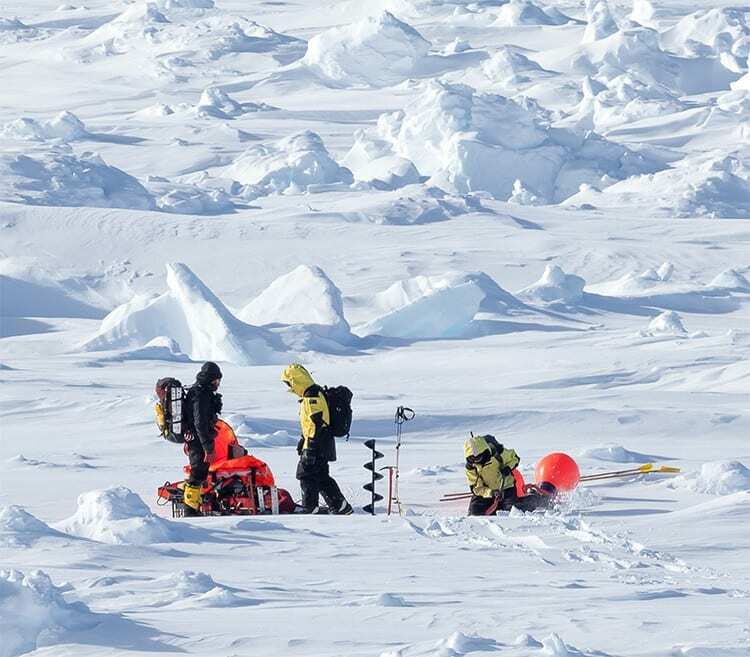 The results, published Nov. 24, 2014, in the journal Nature Geoscience, step up the pace of research in the polar regions aimed at understanding the dramatic sea ice changes in the context of climate change. “The AUV missions have given us a real insight into the nature of Antarctic sea ice – like looking through a microscope. We can now measure ice in far greater detail and were excited to measure ice up to 17 meters thick,” says co-author Jeremy Wilkinson from British Antarctic Survey. 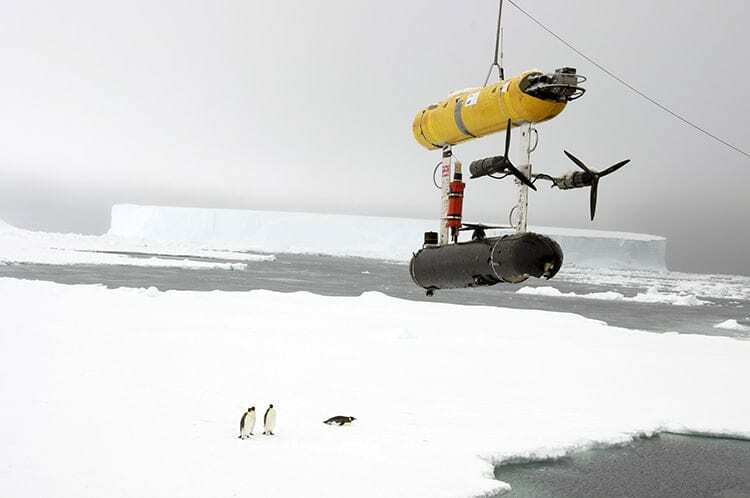 The team deployed AUVs as part of two Antarctic cruises (IceBell and SIPEX-2) in 2010 and 2012 in the austral spring. The first expedition was on the British Antarctic Survey’s RRS James Clark Ross and the second on the Australian icebreaker the RSV Aurora Australis. Three locations around the Antarctic Peninsula were mapped —the Weddell, Bellingshausen and Wilkes Land sectors covering an area of 500,000 square meters. The research was carried out by scientists at the Institute of Antarctic and Marine Science (Australia), Antarctic Climate and Ecosystem Cooperative Research Centre (Australia), Woods Hole Oceanographic Institution (USA) and British Antarctic Survey (UK). Funding for the work came from the Antarctic Climate and Ecosystem Cooperative Research Centre, the British Antarctic Survey, and the Natural Environment Research Council. The U.S. National Science Foundation, which funding the SeaBEd development, manages the U.S Antarctic Program. 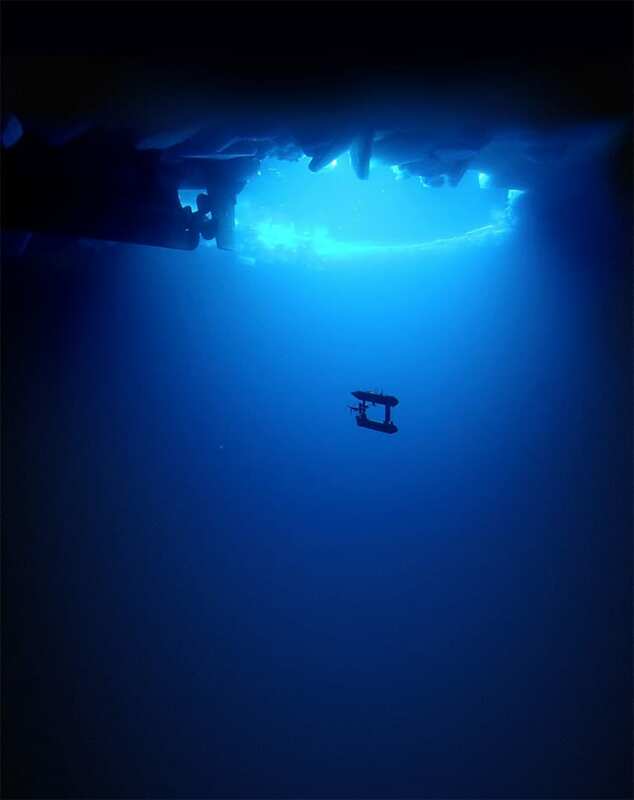 The team deployed the SeaBED AUV as part of two Antarctic cruises in 2010 and 2012 in the austral spring. Three locations around the Antarctic Peninsula were mapped —the Weddell, Bellingshausen and Wilkes Land sectors covering an area of 500,000 square meters. The SeaBED AUV (also called 'Jaguar') mapping under the sea ice.